Though the commute to The Vineyards restaurant was pleasantly shorter for our team, the view was none-the-less breathtaking. In cozy Simi Valley, the venue overlooks the hills and the warm sunset creeps through the trees. On a bright February evening, darling Marissa & Harold said their vows. 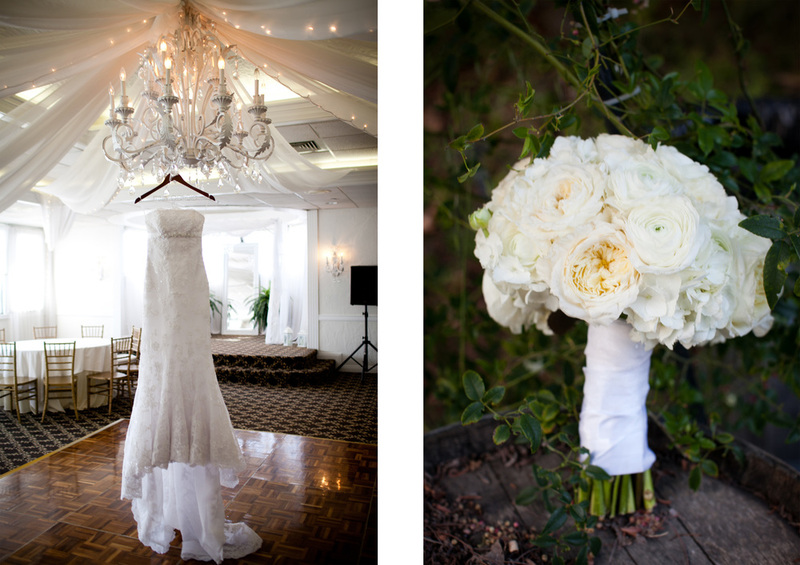 Marissa chose a silhoutte, off-the-shoulder, lace gown, and shades of taupe for her ladies. 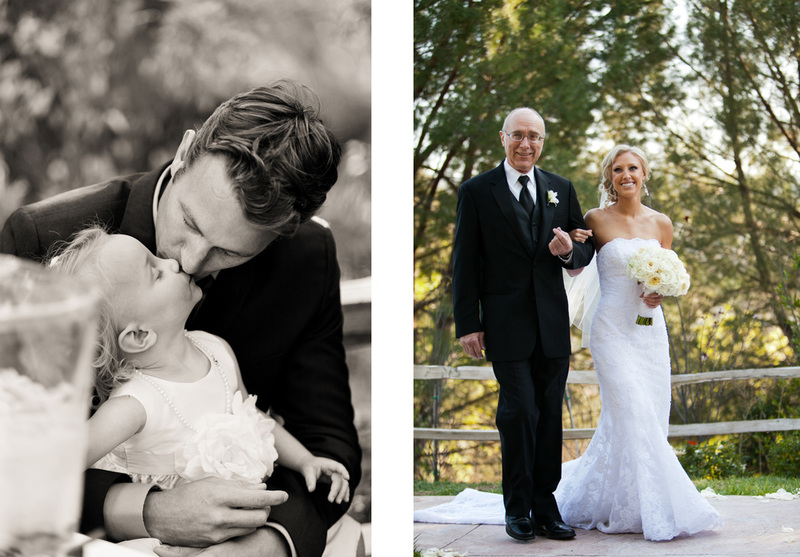 After a kiss for dad (Note: make sure your photographer gets all the father/daughter smooches! ), and a an arbor "I-Do," it was time to party! A chic and glamorous theme, our team accentuated the fabulous drapery at The Vineyards with chandelier centerpieces and gold stands to match the gold Chiavari chairs. Marissa's white buds bloomed just high enough so her guests could still make lively conversation. 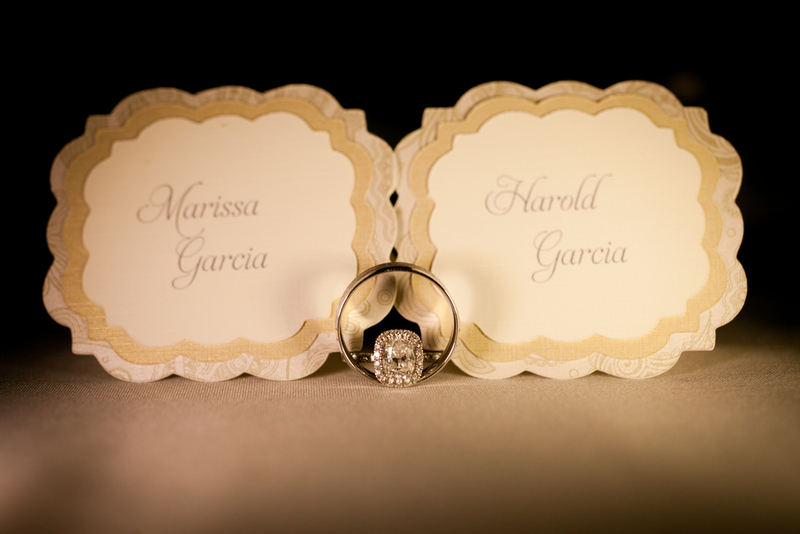 Marissa & Harold left tiny tins of mints for their favors--never a miss with any guest! Congratulations, Marissa & Harold. Your day meant the world to us, XOXO.